Having designed the 1,208 sqm BMW Motorrad motorcycle dealership, which opened in February 2016, Cassidy + Ashton was re-appointed by Bowker Motor Group to design a new aftersales centre. Situated on a 6.5 acre site, the proposed scheme will be the largest of its kind in the North West of England, creating 30 jobs over the next five years. Complete with a 1,310 sqm bodyshop, 1,560 sqm workshop, 220 sqm parts section, 240 sqm classic car display area and plenty of back office space, the facility will also include ample parking. 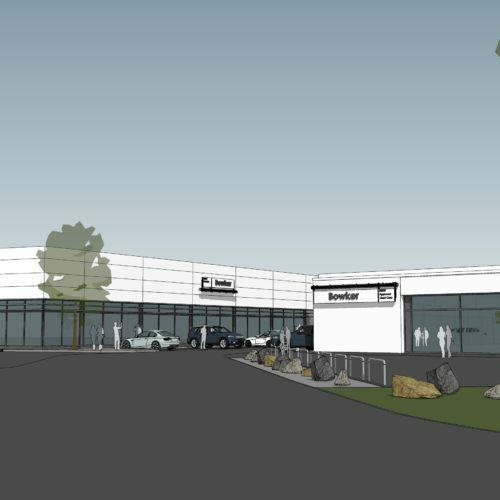 With a six-figure investment, Bowker Aftersales Centre will offer the latest servicing technology and take the Bowker Motor Group footprint at Preston docks to more than 11 acres, including Bowker MINI, Bowker BMW and Bowker Motorrad which opened last year.